Cherries are bursting with nutritional properties - they're a great source of fibre and extremely low GL (glyceamic load - good news for balancing blood sugar). And keeping with the idea that characteristics of a fruit hint to what they are good for (their blood red colour) they are great for cardiovascular health by helping to lower cholesterol. Studies showed that cherries are excellent for reducing inflammation, from the heart through to joints - and are highly recommended for exercise related muscle pain. 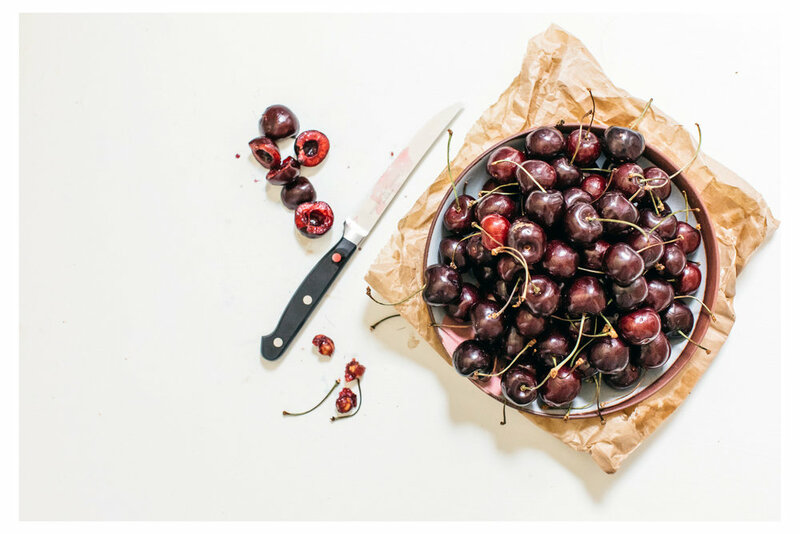 If all of that wasn't impressive enough, cherries have also shown to promote melatonin production which is a hormone responsible for ensuring you get a great nights sleep. These ruby beauties are rife throughout Sussex and Kent at the moment - most of the A roads around Lewes are homing a cherry stall and now is the time to stock up on this brilliant fruit. Buy loads and once you've stained your hands and tongue get to work on stoning and freezing the rest and make them an essential ingredient of your morning smoothie. They are sweet, full of fibre and an excellent addition year round to your nutritional intake. Put all of above in a smoothie cup/jug ( I use a Nutri Ninja) and blitz until smooth and drink with a straw or pour into a bowl and top with toasted almond and coconut flakes. This time of year is optimal for starting a walking routine and are we overlooking the benefits of a humble walk?